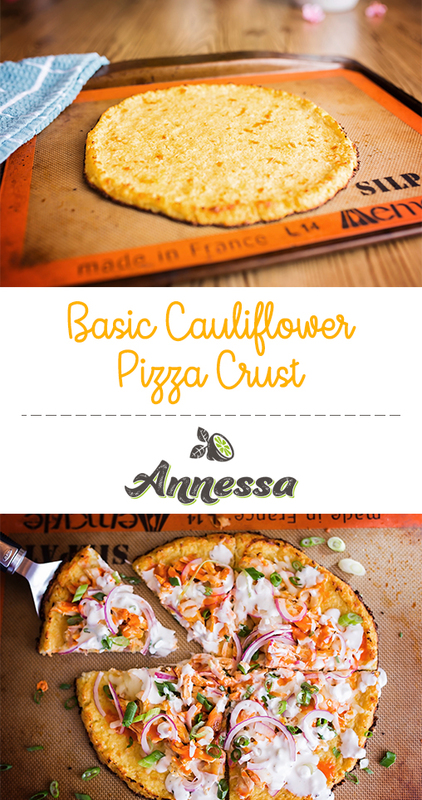 I’ve gotten more questions about this lately than any other…it’s cauliflower pizza crust! How do you start with this vegetable and end up with a irresistible pizza??? I’ll show you! 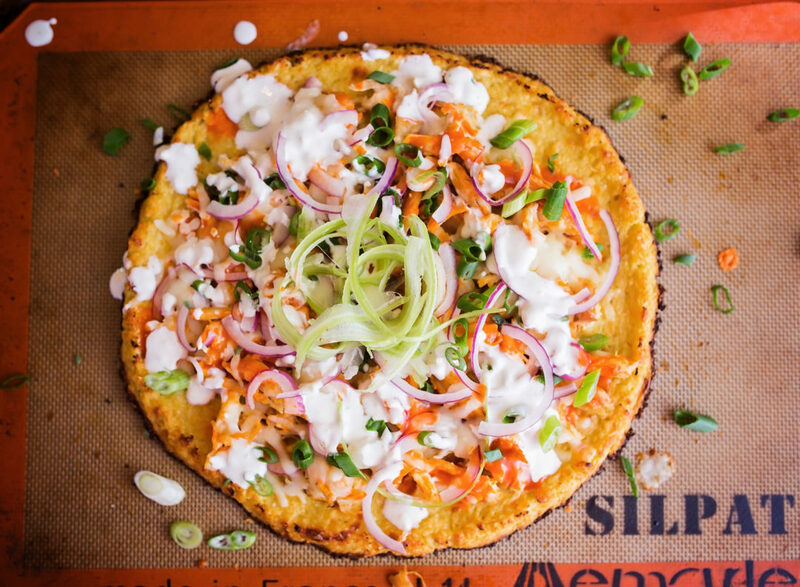 Yummy, low-carb, filling, and you can turn it into any kind of pizza you enjoy. Pulse (only pulse!) until you get what I call “cauliflower snow”…this means, the consistency and look of snow…only the cauliflower version. Mix together with a wooden spoon and press that out onto a baking sheet covered in parchment paper. 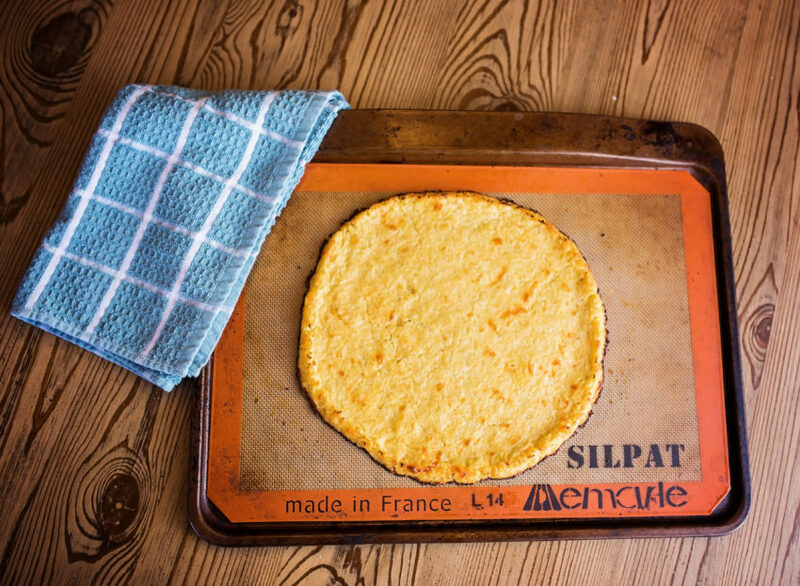 (By the way, you can save that cauliflower pizza dough for the next day if needed). Using your finger tips, press the dough out and shape it like a pizza, thinner in the middle, and then create a crust on the sides to hold any toppings in. Bake it first before adding any toppings! After about 12 minutes, it should come out crispy, well-held-together, and ready for any toppings you desire. I created this crust to be a canvas so it would work with any flavor of pizza you enjoy. You can certainly top it with anything, though. Like diced tomatoes, fresh basil, and shredded mozzarella. My children LOVE the version. 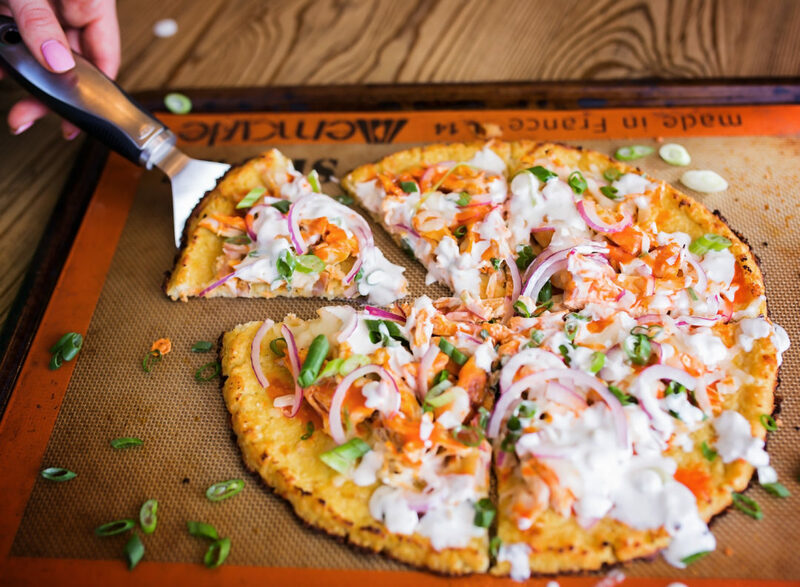 Remember, though it is absolutely DELICIOUS, and cauliflower crust should hold together, but you will need to treat it a little more kindly and gently than regular pizza crust. It’s not necessarily one that you can just eat with your hands, but it is amazing stuff! I hope you enjoy. Please let me be a positive voice in your world on Facebook, Instagram, Youtube, and Pinterest! I would be honored to connect with you on those! 1. 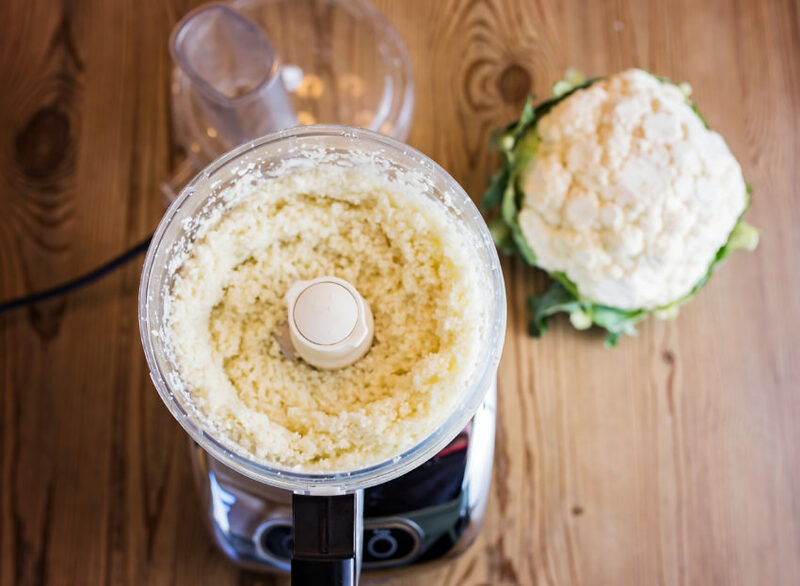 In a food processor, add the florets from that cauliflower. You should have about 5 cups of florets in all. 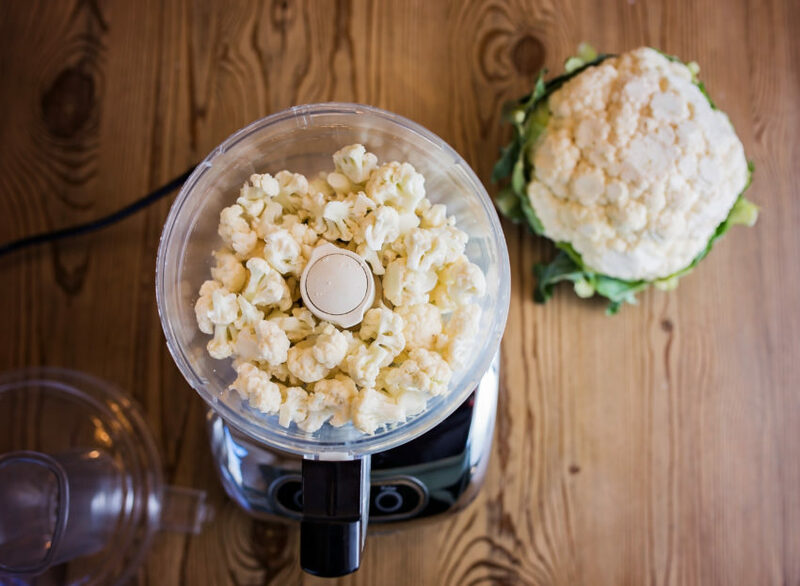 Pulse several times until you get a “cauliflower snow” consistency. 2. Pour those cauliflower crumbles into a microwave-safe bowl. Cover it with a paper towel, and microwave on high for 4 minutes. 3. Let it cool slightly (or put it in the freezer for 5 minutes to cool). Then pour those crumbles onto a clean, dry, dish towel. 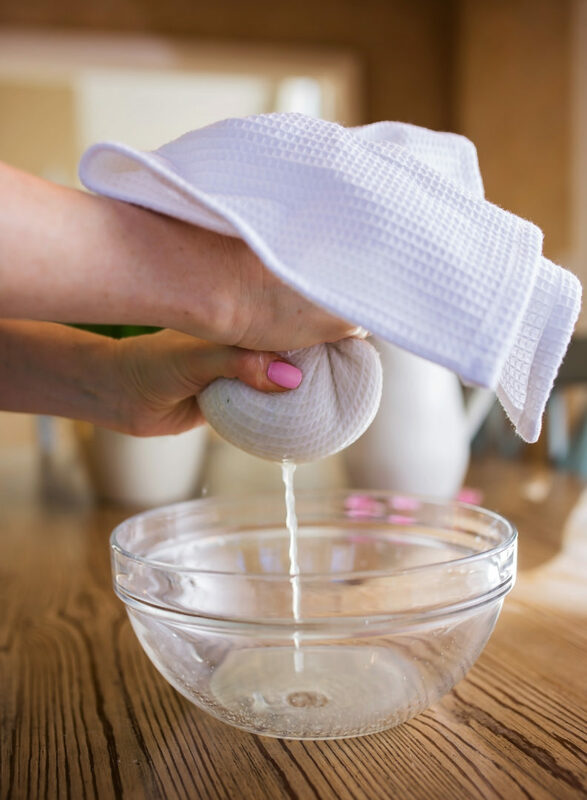 Twist the dishtowel so that you squeeze all the liquid out of that cauliflower snow! 4. 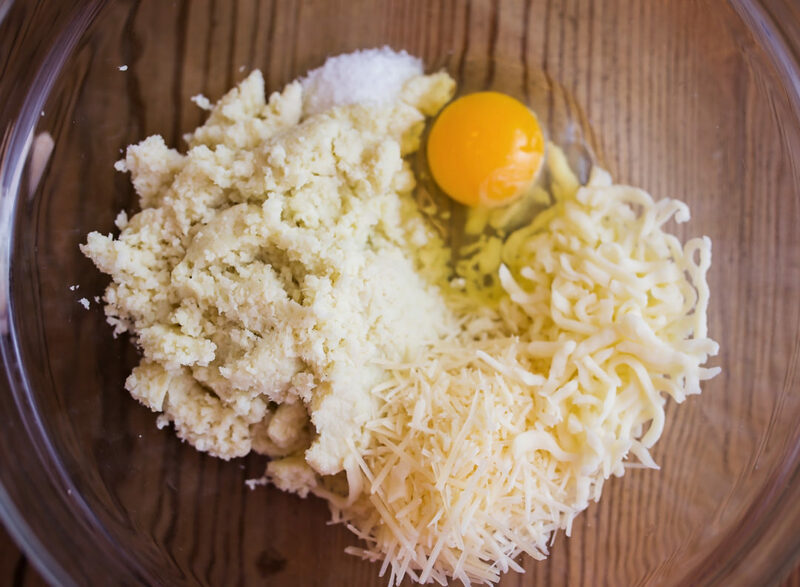 Add the cauliflower to a bowl along with the Parmesan, mozzarella, garlic powder, egg, and kosher salt. Mix together well. The mixture will form a dough. 5. 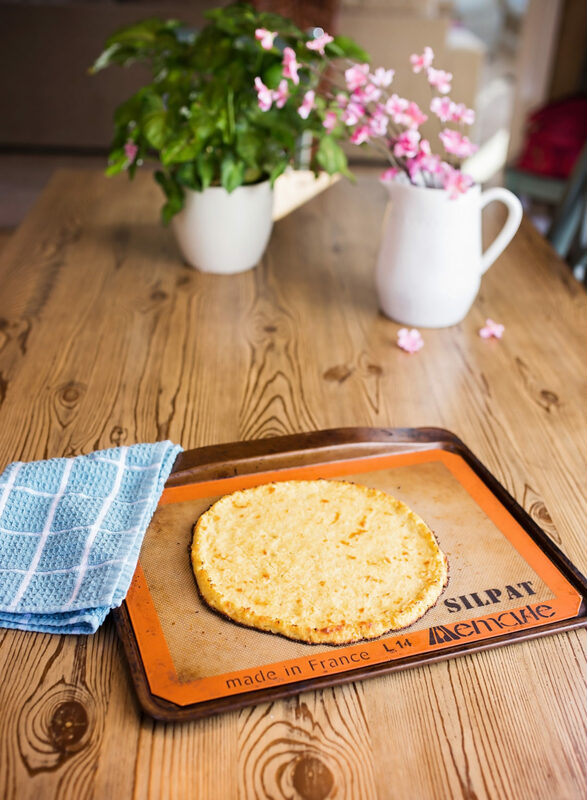 Place the dough on a baking sheet that is covered with parchment paper. Using your fingertips (this is really easy actually), shape the dough into a pizza crust (not too thin in the middle or it won’t hold together). Make the dough a little thicker on the edges to act as a true pizza crust. 6. Bake at 415º for 12 – 14 minutes. Remove, add whatever toppings you desire, and put back into the oven just until the toppings are warmed and any cheese you added is melted. Remove, slice and carefully serve! Crust should hold together well, but it still requires careful transport. Enjoy!